This online colloquium has been established to discuss Arash Abizadeh’s recent book, Hobbes and Two Faces of Ethics. We began with an introduction to the text by Professor Abizadeh, followed by responses from Sandra Field and Michael LeBuffe. We now have a response from Daniel Eggers (Köln), and will conclude with a reply by Arash Abizadeh next week. Many thanks to Cambridge University Press for supporting this colloquium. 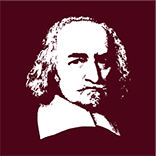 One of the main ideas running through Abizadeh’s impressive book, Hobbes and the Two Faces of Ethics, is the idea that Hobbes’s doctrine of the laws of nature and his theory of contractual agreements are largely independent of one another and that agreements give rise to strict moral obligations that can neither be reduced to nor be derived from the purely prudential obligation towards the laws of nature. To be sure, neither of these two claims is new. They have previously been defended, for instance, by D. D. Raphael and by Bernd Ludwig whose book Die Wiederentdeckung des Epikureischen Naturrechtes provides their most systematic and comprehensive defence. Yet, Abizadeh clearly goes beyond these earlier discussions and arguably improves upon them. Firstly, Abizadeh does not forward the evolutionary reading defended by Ludwig according to which the independence of the two elements of Hobbes’s overall system is only achieved in Leviathan. Secondly, and again unlike Ludwig, Abizadeh does not go as far as to claim that the laws of nature are not obligatory at all—and therefore does not have a similar problem with the fact that Hobbes explicitly and repeatedly describes the laws of nature in these terms, both in the earlier works and Leviathan. Thirdly, Abizadeh locates the relevant claims within the context of some broader conceptual distinctions informed by modern metaethics. According to Abizadeh, Hobbes distinguishes between two different spheres of normativity: normativity in the ‘attributability sense’ and normativity in the ‘accountability sense’. While the former only requires that one can legitimately be criticized for one’s behaviour, as is already the case when one behaves imprudently, the second sense presupposes an interpersonal practice of assuming a second-person standpoint and holding one another accountable. Corresponding to this latter distinction is a distinction between two different types of normative reasons: eudaimonistic reasons of the good on the one hand and genuinely moral reasons of the right on the other. Fourthly, Abizadeh introduces additional evidence for this supposed ‘chasm’ in Hobbes’s theory. Though some of his key evidence is already drawn upon by Raphael or Ludwig (such as Hobbes’s ‘official definition’ of obligation (L 14.65), his claim that there is “no obligation on any man, which ariseth not from some Act of his own” (L 21.11) and Leviathan’s table of the sciences in which “ETHIQUES” and “The Science of JUST and UNJUST” appear as separate enterprises), Abizadeh also appeals to Hobbes’s distinction between a narrow and a broad sense of ‘sin’ (peccatum), his opposition of counsel and command and his claim that the laws of nature fail to qualify as proper laws. Fifthly, Abizadeh ultimately infers from his analysis a specific claim about Hobbes’s place in the history of moral and political philosophy. According to Abizadeh, Hobbes revolutionizes ethical theory by transforming the traditional notions of obligation and natural law, and their mutual relation. As a result, Hobbes’s theory is viewed by him as marking a watershed in the history of both normative ethics and metaethics. There can be no doubt, then, about the originality of Abizadeh’s way of articulating and defending the two ideas under consideration. This is not to say, however, that his discussion does not give rise to some of the same worries that are raised by Raphael’s and Ludwig’s interpretations. For one thing, though Abizadeh may not go as far as claiming that the laws of nature impose no kind of obligation whatsoever, he does emphasize that only the obligation arising from agreements is ‘true’ obligation, and the question is: what entitles us to pay such disregard to Hobbes’s own repeated application of the term? The strongest support seems to be provided by the passage from the chapter ‘The Liberty of Subjects’ already referred to above. Yet, if we read this passage in the way Abizadeh suggests, then Hobbes’s claim is simply incompatible with his own use of the term and many of his relevant statements. However, if we read it in a way compatible with this use—for example, by taking the statement to refer, more narrowly, to ‘The Obligation of Subjects’—they provide no support for denying that the obligation towards the laws of nature is proper obligation, too. Similar considerations apply to Hobbes’s ‘official definition’ of obligation. That the passage has a definitory nature is hard to deny. However, the concession that large parts of Hobbes’s discussion of obligation are in contradiction with his own ‘official definition’ of the term is by no means a tempting one. Moreover, there are other examples where definitory statements provided by Hobbes do not have the comprehensive application they intuitively seem to have, as with Hobbes’s definition of liberty as the absence of external impediments which is inapplicable to the liberty constituting the right of nature. Rather than taking Hobbes’s statement to mean that the obligation towards the laws of nature is not ‘really’ obligation, therefore, we should perhaps better take it to mean that it is importantly different from the one arising from contractual agreements. It is important to emphasize that this view does not yet commit us to the interpretive claim Abizadeh ultimately defends. According to Abizadeh, the obligations are not only different, they are of an entirely different kind. What distinguishes them is that they do not have the same normative status: while the obligation towards the laws of nature is purely prudential, the obligation generated by agreements is entirely independent of the negative consequences that might redound to the agent. Yet, in my opinion, the textual evidence cited by Abizadeh does not sufficiently support this specific claim. For example, the fact that obligations arising from agreements are directed obligations, i.e. obligations in virtue of which I specifically owe something to someone, is fully compatible with the idea that their normative authority ultimately derives from prudential considerations. Likewise, Hobbes’s distinction between the broad and narrow senses of peccatum and his distinction between counsel and command are entirely neutral with regard to the question of what grounds our obligation towards contractual agreements. The same applies to the related claim that the laws of nature are not properly laws. The laws of nature are not properly laws because they do not have a law-giver (unless we conceive of them as expressions of God’s will). However, the question of whether the laws of nature express the will of someone with the authority to make laws and command certain behavior is neither here nor there with regard to the question of whether the normative status of the obligation towards these laws differs from the normative status of contractual obligations. This leaves Abizadeh’s more explicit arguments on why the obligation towards contractual agreements is neither reducible to nor derivable from the prudential obligation towards the laws of nature, which are provided in chapter 6.2. In discussing the first point, Abizadeh rejects S. A. Lloyd’s ‘reciprocity interpretation’ of the laws of nature. With regard to the issue under consideration, however, this rejection does not have any real import since the question thereby being answered is not whether the obligations towards contractual agreements might not really be prudential, but the opposite question of whether the obligation towards the laws of nature might not really be non-prudential. Similarly, the way in which Abizadeh tackles the second issue, namely by distinguishing between the prudential reasons we have for assuming the second-person standpoint and the properties in virtue of which we have the normative power to take on contractual obligations, does not suffice to show that there must be such a thing as strictly moral, non-prudential obligation in Hobbes. For all Abizadeh tells us, the interpersonal practice of assuming a second-person standpoint, from which our directed obligations are said to emerge, might only be needed for determining the content and scope of our directed obligations, without these obligations therefore acquiring a non-prudential normative status. In my view, then, the positive evidence provided in support of Abizadeh’s reading falls short of supporting his crucial claim—even if it may show quite impressively how keen Hobbes was on discussing the normative realm created by contractual agreements in its own right. Moreover, any interpretation of Hobbes that wants to drive a wedge between the two types of obligation needs to come up with a plausible explanation for the existence of the third law of nature and for the fact that Hobbes repeatedly discusses contractual agreements from a prudential perspective, as in his famous ‘reply to the Foole’. According to Abizadeh, what explains the link between prudence and contractual obligation is that Hobbesian individuals can only ever be motivated to fulfill their strict moral obligations in virtue of prudential considerations and that the self-interest of an agent serves as a general constraint on the obligations we can possibly attract by means of contractual agreements. In my view, this attempt of reconciling the two spheres of normativity creates further problems, if not for Abizadeh, then for Hobbes. One question is whether the above account is compatible with the principle ‘ought implies can’ to which Hobbes obviously subscribes (see also Abizadeh’s discussion of the conditions of moral responsibility in chapter 4.1). Abizadeh’s treatment suggests that the principle is respected if there is some way for individuals to act in accordance with their contractual obligations or some way for them to be motivated to act in the relevant manner. However, one might think that the principle actually requires something stronger, namely that we can fulfill our strict moral obligations as strict moral obligations and be motivated by the fact that we are obliged in this specific sense. Furthermore, it is not clear that Abizadeh’s solution sits well with the idea of accountability in terms of which he explicates strict moral obligation. According to Hobbes, it is impossible for us not to act on our will (unless, of course, we are hindered by some external factor). This suggests that, within the Hobbesian framework, we can only hold someone accountable for his will, that is, for that which the individual was overridingly motivated to do. If we hold someone accountable for not fulfilling his contractual obligations, then, we really hold him accountable for not being sufficiently motivated to fulfill these obligations. Yet, if all that can ever motivate Hobbesian individuals are considerations of self-interest, then this means that in holding someone accountable for violating his contractual obligations, we ultimately blame him for not acquiring the appropriate self-interested motivation, that is, for not behaving prudently. However, this suggests that the position Abizadeh ascribes to Hobbes, namely a combination of a modern accountability conception of contractual obligation and a “egoist-hedonist psychology” (229), is internally unstable. In fact, something similar seems to follow from the concession that our self-interest provides a general constraint for our strict moral obligations since the resulting view suggests that, after all, the fundamental normative value of Hobbes’s theory is self-interest and that we are only ever obliged by our own good, that is, prudentially. The least we may say of Abizadeh’s analysis, therefore, is that he tends to treat Hobbes overly charitably and keeps quiet about some serious problems that are attached to the supposed enterprise of separating reasons of the right from reasons of the good—problems that fully come to the fore in the works of later moral philosophers, most famously in the works of Immanuel Kant. This online colloquium has been established to discuss Arash Abizadeh’s recent book, Hobbes and Two Faces of Ethics. We began with an introduction to the text by Professor Abizadeh and a response from Sandra Field. We now have a response from Michael LeBuffe (Otago), which will be followed by one from Daniel Eggers and then a reply by Arash Abizadeh. Many thanks to Cambridge University Press for supporting this colloquium. I would like to begin by congratulating Arash Abizadeh. Hobbes and the Two Faces of Ethics is a splendid book. Even where I have disagreed with Abizadeh, the book has been a great help to me in framing central issues and in setting out pressing questions for different interpretations. I am sure that it will be a valuable resource for students of Hobbes for many years. Here I will discuss Abizadeh’s views on the science of morality in Hobbes, and I will focus on his Chapter 3. I will begin from the principles that form the basis of that science and proceed to its conclusions, the laws of nature. In both cases, although I recognize the difficulties that Abizadeh has presented for what he calls subjectivism, I am also concerned about the alternative interpretation that he defends. On that interpretation, prudentialism, the view that one ought to desire and pursue one’s own good, is a foundational principle of moral science, which gives us reason to follow the laws of nature. The principle is distinct from any particular desire or knowledge, but its practical importance is guaranteed by epistemic access to the laws of nature: any sane adult can easily know the laws of nature. Science, Hobbes writes in Leviathan, proceeds from definitions of words; to general affirmations; to syllogisms; to conclusions (L 7.4, cf. L 5.17). In the familiar case of the “science of virtue and vice” (L 15.40), Hobbes defines ‘right of nature’, ‘liberty’, and ‘law of nature’ (L 14.1–3); makes general affirmations in the right to everything and the fundamental law of nature (L 14.4); and proceeds by something recognizably like syllogistic reasoning to arrive at conclusions in the laws of nature (L 14–15). Neither in Hobbes’s definition of ‘science’ nor in Leviathan 14–15 does the vexed term ‘principle’ arise, but I do not think that this is a significant problem for Abizadeh’s claim that the first normative principle is “desire and pursue your own good” (110). Hobbes does use ‘principle’ immediately before the L 5.17 definition of ‘science’ (see also the account of first philosophy at L 9). Moreover, where Hobbes does use the term ‘principle’ (or principium) more freely, as at De Corpore 15, he seems happy to have both definitions, such as the definition of ‘motion’, and also results of argument that are somehow fundamental, such as his version of the law of inertia, count as principles (DC 15.1). I do think, however, that whatever Hobbes takes to be a principle he states explicitly and straightforwardly. Reason requires such transparency if it is to proceed on a solid footing. Where, then, Abizadeh claims that for Hobbes the first normative principle which grounds natural law is “desire and pursue your own good,” rather than the explicit definitions and fundamental precepts of Leviathan 14, I think his view is problematic. Considering the moral argument of Leviathan in parallel with the physical argument of De Corpore, it seems likely that Hobbes would have been happy to call his definitions, the right to everything, and fundamental law of nature “principles” in Leviathan. It seems quite unlikely, though, and contrary to his account of science, that he would have a fundamental principle that he does not mention. Compare the case of Spinoza, whose psychology and method are similar in many respects to those of Hobbes. At the outset of his dictates of reason, Spinoza writes: “Because reason demands nothing contrary to nature, it therefore demands … absolutely, that each person should strive, as far as it is in him, to preserve his own being.” On the basis of this passage, one might argue that “desire and pursue the preservation of your being” is a principle of Spinoza’s dictates of reason. He starts with this emphatic statement about what we should do in general and other dictates of reason follow from it. Similarly, to take Abizadeh’s own comparison case (97), Thomas Aquinas explicitly and at the outset of his account of natural law makes it his first principle that the good is to be done and pursued and evil avoided (ST I–II q. 94 a. 2). If Abizadeh is right about Hobbes’s first principle, the case with Hobbes is quite different. He never does claim that one ought desire and pursue one’s own good. Notably, there is no such claim where one would expect to find it, at the beginning of Leviathan 14. This point matters, I think, to Abizadeh’s assessment of interpretations of Hobbes that make him a subjectivist about reasons. If Hobbes were somewhere to assert as self-evident or to derive in argument the claim that one ought desire and pursue one’s own good, then the normativity of the laws of nature might well inherit their normativity from this principle: one ought to pursue peace because it is a necessary means to one’s good, and one ought to pursue necessary means to whatever ends one ought to pursue. The fact that Hobbes does not explicitly present this principle, though, is an impetus to take subjectivism and the deflationary sense of the normative that it presents seriously. Turning now from the foundations to the conclusions of moral science, on Abizadeh’s view, we ought to understand Hobbes’s laws of nature as giving us reasons to act in particular ways that are independent of our particular desires or knowledge. Alternatively, if some subjectivist view is correct, then we ought to take them to give us reasons that are dependent upon our desires and knowledge. For example, on Watkins’s very simple “doctor’s orders” interpretation, I want to live, and I know that peace is means to survival (Watkins, 76–77). That knowledge gives me a motive (and so, in that sense, a reason) to seek peace. Textual evidence that may be relevant to the broader issue, then, is evidence concerning Hobbes’s views about whether human beings desire the ends secured by his laws of nature and whether human beings know that the laws of nature help to secure those ends. On the first topic, Abizadeh offers an excellent, nuanced account of Hobbes’s views about human desire. If subjectivism about reasons were to work, it would have to accommodate something close to desire as Abizadeh presents it. On the second topic, Hobbes’s views about human knowledge of laws of nature, however, I do have reservations about Abizadeh’s argument. Abizadeh contends (122, 131) that, according to Hobbes, we need not know the laws of nature. If that were so, it would be a strong point against most varieties of subjectivist interpretation. The textual evidence that Abizadeh raises in support of this view, however, does not, to my eyes, do the job. One passage is Leviathan 30.4, where Hobbes writes that the grounds of sovereign rights need to be taught. Abizadeh paraphrases: “those who could know the laws of nature but do not, ‘need to be diligently, and truly taught’” (122). Perhaps one might work one’s way to the laws of nature from the rights of sovereigns, eventually, but the notions—and Hobbes makes this point emphatically (L 14.3)—are not simply intersubstitutable. Later, Abizadeh cites Leviathan 26.21, where Hobbes writes that the laws of nature need interpretation because we are frequently blinded by self-love and other strong passions. This also seems to me not directly related to the question of our knowledge of the laws of nature. The passage, I think, is naturally understood as one in which Hobbes notes that, although we all do know the laws of nature (perhaps because we all have a minimal degree of reason), we nevertheless easily misinterpret that law. The paragraph, after all, concerns the need for interpretation of all law. If knowing the law at all were a problem, that would be a more fundamental problem and would need to be addressed prior to the problem of misinterpretation. A prominent passage in Leviathan states explicitly that all sane adults do know the laws of nature. At the conclusion of Hobbes’s moral science, Leviathan 15.40, he writes: “all men agree on this, that peace is good; and therefore also the way or means of peace … justice, gratitude … and the rest of the laws of nature.” Abizadeh’s contention that Hobbes defends a condition of epistemic access to natural law does offer a clear alternative reading of other passages (such as, L 15.35 and R&C 13) that a subjectivist might too quickly take to be equivalent to this passage: they do, read closely and without the context of 15.40, suggest that all can know the laws of nature and not that all do. In the light of 15.40, however, it seems to me that the subjectivist reading of these passages is better after all: all of us ought to know the laws of nature in the same sense that my socks ought to be in the drawer where I left them. In any case, the assertion that all minimally rational adults do know the laws of nature is perfectly consistent with the assertion that all minimally rational adults can know the laws of nature. Evidence that Hobbes maintains the latter, if that is what these other passages are, is not evidence that he does not hold the former. Abizadeh’s analysis and criticism of subjectivist interpretations is excellent. In summary, I do worry that the alternatives he presents face pressing difficulties also. With respect to prudentialism, it is not what Hobbes would call “good and orderly” proceeding in science to have fundamental principles that are not explicit, and I do not think that Hobbes would have slipped this badly in his moral science. With respect to the view that we all must be able to know but need not know the laws of nature, it seems to me that Hobbes’s view is simpler: sane adults know the laws of nature. It is the enormously difficult function of the sovereign to create broader agreement and then fruitful cooperation from this small shared ground. L: Thomas Hobbes, Leviathan. I have freely modernized Hobbes’s English, and have typically followed the edition of Edwin Curley (Indianapolis: Hackett, 1994). I also follow Curley’s paragraph numbering. DC: Thomas Hobbes, De Corpore. ST: Thomas Aquinas. Summa Theologicae. John Watkins, Hobbes’s System of Ideas (London: Hutchinson, 1965). This online colloquium has been established to discuss Arash Abizadeh’s recent book, Hobbes and Two Faces of Ethics. We began with an introduction to the text by Professor Abizadeh. We now have a response from Sandra Field (Yale-NUS), which will be followed by responses from Michael LeBuffe (Otago) and Daniel Eggers (Köln), and finally a reply by Arash Abizadeh. Many thanks to Cambridge University Press for supporting this colloquium. Abizadeh’s Hobbes and the Two Faces of Ethics is an ambitious book. It seeks to provide a comprehensive interpretation of Hobbes’s ethics, and to make that interpretation speak equally to historians of ideas as to contemporary metaethics and normative ethics. There is much to admire in the execution of this project. Abizadeh is relentless in parsing fine distinctions amongst contemporary readings of Hobbes, and in deploying textual evidence from across Hobbes’s oeuvre to support his favoured view. And the ends to which this rigour and precision are deployed are intellectually significant. Abizadeh identifies a bifurcation between the good and the right in Hobbes’s normative ethics—on the one hand, a natural law representing an ethics of individual prudence; on the other hand, a model of justice representing a juridical morality of interpersonal obligation—claiming that both are genuinely, but independently, normative. This interpretation is controversial but ultimately compelling, and historically illuminating. I found his analysis of the genuine normativity of the ethics of individual self-interested prudence particularly useful; Abizadeh diagnoses a certain narrowness of current philosophical conceptions of morality as the obstacle to appreciating this normativity (10, 219–23). My critical comments focus on Abizadeh’s central metaethical claim: that Hobbes offers a sophisticated ethical naturalism, one which is neither reductionist or noncognitivist (17–19, 61). While the bulk of Abizadeh’s discussion is devoted to exegesis, at no point in the book does Abizadeh indicate finding the position to be problematic or incoherent. Thus, I take it that Abizadeh’s goal is not merely to establish that Hobbes held this view, but also to commend such a view as being sufficiently philosophically compelling and appealing to merit our present attention. I will try to articulate the enduring difficulties facing such a view, both on Hobbes’s own terms and for us. Abizadeh’s starting point is the puzzle of the apparent incompatibility between Hobbes’s materialist mechanistic metaphysics and his normative philosophy (7–8). One might think that in a materialist metaphysics, lacking free will, there can only be causal responsibility and instrumental sanctions (like rewards and punishments for animals), not genuine moral responsibility. But to the contrary, Abizadeh argues that this is a medieval scholastic prejudice: aligning Hobbes with the earlier Aristotelian view, we see that the possibility of attributing genuine moral responsibility relies not on the possession of free will, but on the capacity for reason (183–87, 213). Might one then object that that in a materialist metaphysics, reason itself is deflated, becoming a merely passive mental process? Again, to the contrary, Abizadeh argues that it is possible for one’s reasoning to be active, by which he means capable of reflecting on and being guided by reasons (62–65, 93). Abizadeh’s response to worries about Hobbes’s naturalism ultimately relies on identifying a capacity for active reasoning. Hobbes and Abizadeh distinguish having a capacity for reason from exercising that capacity: there are people with weak understanding, unclear thoughts, countervailing motivations, and so on, and correspondingly people often fail to fulfil their moral responsibilities. But how is the distinction between possessing an unexercised capacity versus simply lacking the capacity to be specified? And given Hobbes’s determinist view of causation, how can the salience of such a distinction be upheld? Abizadeh does not provide an explicit account, so let us turn to Hobbes’s general metaphysics of bodies. Hobbes makes clear that at a fundamental level, nothing is truly contingent: an act is either determined to occur, or it is not. The possibility of an act does not mean its contingency, but rather that the act is not impossible: at some point of time a full set of determinate causes will converge such that it will in fact occur (AW 37.5). This view of possibility generates a fundamentally un-Aristotelian understanding of capacity. As Hobbes explains in the course of criticising his Aristotelian opponent’s view: ‘We may say … that an axe can cut because there is nothing in the axe that stops it from cutting. Yet there may well be, in the nature of things, causes that make it impossible for the axe—or anything else—ever to be picked up, and as a result the axe cannot cut’ (AW 37.11). Thus, it is not the inner properties of a thing which specify its capacities, but its place in an actual web of deterministic causes: if determinate causes mean a putative capacity is never exercised, it turns out that it is no capacity at all. In our ignorance of the future, more loosely and derivatively we might call an act possible when it may (for all we know) occur; correspondingly we might attribute a capacity or power to produce that act. (DCo 10.5; AW 35.6–10). This is harmless enough, so long as we bear in mind the strict meaning of possibility: if there are reasons to think that the act will not occur, then it is not permissible to attribute capacity or power for that act. Is Hobbes’s discussion of the human capacity for reason, and correspondingly of the human capacity to feel the rational force of obligations, compatible with this anti-Aristotelianism? At face value, it is compatible. After all, Hobbes and Abizadeh are careful not to attribute a capacity for reason in certain cases where it predictably will not be put into practice (19, 122, 136). Children and the mad are ruled out; and even amongst sane adults, the attribution of normative obligations requires that the relevant reasons are epistemically and motivationally accessible (in particular, ruling out normative obligations to act in extreme contravention to one’s own wellbeing, for instance any purported obligation to obey a command to kill oneself or one’s parent). And outside of these cases, individuals (for all we know) may reason and act well, so we may permissibly attribute full capacity for reason and full moral responsibility, which is exactly what Abizadeh proposes doing. However, against appearances, I would suggest that Hobbes’s ethics’ extensive reliance on the human capacity for reason and corresponding rational action is deeply problematic on his own terms. The problem comes into view once we shift the analytical lens from humans considered individually to the domain of sociological reflection. At the scale of society, we can see poor reasoning and poor behaviour arising predictably from certain aspects of the social domain, even when subjects are not facing the kind of extreme threat to their wellbeing outlined above. Under certain social conditions, it is predictable that a proportion of the population will steal (for instance, when law enforcement is imperfect and there is a stark gap between rich and poor). Under certain social conditions, it is predictable that a proportion of the population will rationalise unjust conduct (for instance, when gratifying rhetoric connects with feelings of grievance or dissatisfaction). (See DC Chapter 12; L Chapter 29). In this light, while it may be fair to say that for all we know, a particular individual will behave rationally and fulfil their obligations, it is not fair to say that for all we know, everyone will do so. Thus, to say that all sane adult members of a population have the Hobbesian ‘capacity’ to reason aright and to fulfil their obligations seems untenable. The tension is brought to the fore in the discussion of punishment. Abizadeh wants to reject the view by which materialist metaphysics requires a merely strategic attitude to practices of blame and punishment (in terms of salutary sociological and political effects, not in terms of genuine moral responsibility). On Abizadeh’s reading, certainly, for Hobbes it is necessary that such practices do have salutary effects (this explains his opposition to vengeful punishment). But strategic usefulness alone is not sufficient: those breaking the law are truly morally responsible for their action, in light of their rational capacity. Therefore punishment is also morally important mode of expressing this second-person holding responsible (21, 203–9). Perhaps this is textually accurate (although it seems to me that Hobbes’s own defence of blame and punishment rests rather more heavily on its salutary strategic effects than Abizadeh’s reconstruction would suggest, see LN 248–55). But I want to underscore the unappealing, and perhaps incoherent, commitment this kind of naturalism involves. It seeks still to blame people for bad behaviour, even if it is the sociologically predictable result of certain social conditions. It lays deep moral responsibility on the individual and obscures the larger web of causes in which individual action occurs. The political consequence is holding communities responsible for sociologically predictable dysfunction. Perhaps Abizadeh’s moralised naturalism, with its concomitant individualisation of responsibility and refusal of the ambiguities of agency, is the genuine legacy of Hobbes’s political philosophy, and the correct all-things-considered interpretation of his texts. But first, I wonder about its coherence: it is not clear to me that it fully addresses the challenge of a materialist metaphysics. Abizadeh comprehensively addresses one possible tension (how naturalism fits with the possibility of moral truths and the possibility of active reasoning) without addressing adequately another tension (how complex causal determinism fits with the attribution of moral blame). And second, it is far from clear why Hobbes’s moralised naturalism merits being promoted over the thoroughgoing materialist undercurrent of Hobbes that Abizadeh rejects. According to this more subversive undercurrent, political and sociological reflection on the determinate causes of human conduct should complicate the easy attribution of a capacity for moral and just action, and give us pause to reflect on the broader determinate causes helping or inhibiting the development of such capacity. AW: Thomas Hobbes, Thomas White’s De Mundo Examined, trans. Harold Whitmore Jones (London: Bradford University Press, 1976). DC: Thomas Hobbes, On the Citizen, ed. and trans. Richard Tuck and Michael Silverthorne (Cambridge: Cambridge University Press, 2014). DCo: ‘De Corpore’, in Thomas Hobbes, Thomæ Hobbes Malmesburiensis Opera philosophica quæ latine scripsit omnia, Vol. 1, ed. William Molesworth (London: John Bohn, 1839). L: Thomas Hobbes, Leviathan: with selected variants from the Latin edition of 1668, ed. Edwin Curley (Indianapolis: Hackett, 1994). LN: ‘Liberty and Necessity’, in Thomas Hobbes, The English Works of Thomas Hobbes of Malmesbury, Vol. 4, ed. William Molesworth (London: John Bohn, 1839). This online colloquium has been established to discuss Arash Abizadeh’s recent book, Hobbes and Two Faces of Ethics. We begin with an introduction to the text by Professor Abizadeh himself, which will be followed by weekly responses from Sandra Field (Yale-NUS), Michael LeBuffe (Otago) and Daniel Eggers (Köln), and finally by a reply from Arash Abizadeh. Many thanks to Cambridge University Press for supporting this colloquium. Eudaimonia was the Greek term for the ultimate good of a human life, what the Latins translated as felicitas and in English is often translated as well-being, happiness, or flourishing. The central question of Greek ethics had been: How should I live? The nearly unanimous answer was: Live the best life, the life of eudaimonia, and cultivate the character conducive to living such a life. What the eudaimonist philosophers disagreed about was what the good life consists in: a life of pleasure, of virtue, of bodily and external goods, or some combination thereof. But they agreed that practical reasons are ultimately all grounded in one’s own good. Perhaps one should be beneficent or just to others, but if so, ultimately it is because being beneficent or just is good for one’s own self, a constituent of—or at least the means to—one’s eudaimonia or felicity. Hobbes stood at a watershed in the history of ethics, a moment in which the eudaimonist model rooted in ancient Greece began to give way to a distinctly modern, juridical model of morality. If Greek ethics focussed on the dispositions of character conducive to eudaimonia, modern ethics took the form of a juridical code specifying moral laws and obligations that could in principle conflict with one’s own good. It is in the works of Grotius and Hobbes in particular that we see the emergence of a juridical notion of obligation. The traditional eudaimonistic notion of ethical obligation just amounts to a reason one has whose normativity is grounded in one’s own good or felicity. Thus for Aquinas to say one is obligated by natural law was simply for him to say that conforming to natural law is conducive to one’s own felicity. Although for Aquinas natural law is intrinsically oriented to the common good, the reason one should act for the common good is that it is a constituent of one’s own good. Hobbes dropped the assumption that the common good is a constituent of the individual’s good, but he nevertheless retained a eudaimonistic notion of obligation: it is in this eudaimonistic sense that Hobbesian laws of nature “oblige” each rational creature. (Hobbesian laws of nature are intrinsically oriented to the individual’s own good or “self-preservation,” not the common good as in classical natural law). But Hobbes also deployed ‘obligation’ in a distinct, new, juridical sense to name what one owes others, that is, obligations to which others have the normative standing to hold one accountable (just as, under the Roman law, others had the legal standing to hold one accountable to one’s legal obligations). Hobbes thought that by right of nature human beings are free of all obligations in this strict, juridical sense: if one violates natural laws prior to conventionally acquiring juridical obligations, others have the standing to criticize one for being imprudent, and are free to protect themselves as they see fit, but no one has the standing to hold one accountable. One does not owe it to others to act prudently to secure one’s own felicity. But once one acquires obligations by contract, one is accountable to those to whom the obligation is owed. These are the two faces of ethics in Hobbes, represented on the book’s cover by the figures of Prudentia on the right and Justitia on the left (in a seventeenth-century engraving by the Dutch artist Hendrick Goltzius). The first face comprises reasons of the good: reasons for which we are responsible, but for which we are not accountable to anyone. It paradigmatically consists for Hobbes in the precepts of natural law, which prescribe the means of self-preservation. We are responsible in the sense that, qua rational creatures, the actions or passions these reasons govern are attributable to us: we may be correctly counselled or warned, and justifiably commended or criticized, in their light. But we do not thereby owe anyone any excuse, justification, or compensation. The second face comprises reasons of the right: reasons for which we are second-personally accountable to others. It paradigmatically comprises the obligations arising from contract. Here others have standing to demand our conformity to such reasons in ways that reiterate and seek to vindicate the demand in case of failure to conform, that is, to condemn and sanction failures by demanding excuses, justification, or apology, and exacting compensation. Failing to heed reasons of the first kind renders us an appropriate target for criticism or critical blame, but failing to heed the second kind renders us an appropriate target for vindicatory or reactive blame or sanction. Recognizing these two faces of Hobbesian ethics is indispensable for resolving several apparent puzzles plaguing Hobbes scholarship. One puzzle concerns the relation between natural right and natural law. Hobbes asserted that by nature humans are free from obligation: obligation arises only by voluntary conventions such as contract. Yet he also asserted that by nature humans are obligated by natural laws. How could people prior to giving up their full right of nature be free of all obligation while at the same time obligated by natural law? The answer becomes clear only once we recognize the two faces of ethics: by right of nature people are free of juridical obligations, whereas the laws of nature impose merely eudaimonistic obligations. The two faces of ethics are also reflected in Hobbes’s distinction between rational agents and persons. In virtue of their capacity for reasoning, rational agents have normative reasons: they “own” or are attribution-responsible for their actions. But to be accountable to others—to occupy the second-personal standpoint—one must also be a person to them, which requires being intersubjectively recognized as a person by them. The artificial category of personhood is central to Hobbes’s ethics. For Hobbes, these two dimensions of normativity are neither reducible to nor derivable from each other. Whereas the science of the good concerns natural laws and eudaimonistic obligations, the science of justice concerns artificial laws and juridical obligations. To be sure, fulfilling contractual obligations is also prescribed by Hobbes’s third law of nature, but this is because in Hobbes’s view we have prudential reasons to heed reasons of the right—not because natural law furnishes or grounds reasons of the right. Prudence coincides with justice, as Hobbes insisted in his reply to the Foole, but it does not ground justice. In repudiating natural sociability, Hobbes was denying that conventional, juridical obligations derive from or reduce to natural, eudaimonistic ones. He was also denying that the common good is constitutive of one’s own good: Hobbes repudiated the classical assumption of an underlying harmony of interests. Hobbes confronted the ensuing spectre of fundamental clashes of interests by appealing to a common social good—peace—constructed from the overlap between each individual’s antecedent good. And he obviated the possibility of divergent eudaimonistic and juridical obligations by building prudential constraints into the content of the latter (via what I call his sign theory of consent). Prudentia and Justitia are distinct figures, each with their own face, but locked in intimate embrace. The book has two overarching ambitions. One is to identify—at the level of normative ethics—the two dimensions of normativity I have just sketched and their relation to each other. The second is to provide a sustained treatment of Hobbes’s implicit metaethical commitments—in particular, to show Hobbes’s commitment to genuine, irreducibly normative truths. This is the topic of Part I and the book’s concluding chapter. Hobbes was at the forefront of the new, mechanistic model of science gripping the seventeenth century. He claimed the only real entities are bodies in motion and all real properties reduce to extension and motion. Many of his readers have consequently assumed he was ultimately a nihilist about genuine, irreducibly normative properties and truths. Some have read him as a kind of ethical-naturalist reductionist (according to which all normative properties and facts reduce to non-normative ones, concerning, for example, the means for fulfilling one’s own desires), as an error theorist (according to which, because there are no genuinely normative properties, all positive, genuinely normative judgements and propositions are erroneous), or as a prescriptivist (according to which normative judgements and discourse are not truth apt, because they do not purport to represent anything, but merely prescribe what to think, feel, or do). The most promising interpretation construing Hobbes as a nihilist about irreducible normativity, however, is a hybrid view, according to which normative discourse consists in (a) a prediction about what people would do upon reasoning properly along with (b) the prescription that they do it. Yet even this hybrid view ultimately falters: it is gainsaid by Hobbes’s account of deliberation, reasoning, and counsel, which presupposes genuine, irreducibly normative truths. In the book’s concluding chapter I return to his metaethics to argue Hobbes is best read as a naturalist who denied that normative properties are real (they have no causal standing) but who nevertheless took irreducibly normative propositions to be truth apt and many of them—viz. his own—to be true. Part II is devoted to the first, attributability dimension of normativity (reasons of the good). Hobbes was not a subjectivist or instrumentalist about reasons: he was a prudentialist who (like the ancient eudaimonists) held that even those who do not properly care for their ongoing good or felicity ought to do so. Many readers have thought that Hobbes either denied the existence of an ultimate good for human beings, or at least denied felicity any role in determining what one ought to do. They have thought that the normative foundation of Hobbes’s normative theory, and hence of his laws of nature, is a notion of bare survival or death-avoidance that makes no reference to a substantive conception of the good. I demonstrate this is a mistake: Hobbesian laws of nature are grounded not in survival, but in “self-preservation” in an expansive sense that includes the constituents of a minimum level of felicity. The normative foundation of Hobbesian natural law is not life per se, but a life worth living. (This is why under some extreme circumstances, suicide might be reasonable.) And felicity consists in a life of ongoing pleasure: Hobbes was a hedonist about the good. But he departed from classical, Epicurean hedonism in two important respects: neither felicity nor pleasure is a “final” end in the sense of being the aim of all valuable action; and felicity does not come from the termination of desires. Hobbes took felicity primarily to consist, not in pleasures of satisfaction, but in ongoing anticipatory pleasure: the pleasure we take when we imagine and hope for the satisfaction of our desires (where hope is nourished by repeated past success in satisfying desires). It is true that which particular desires people have and what they take pleasure in differ from one person to the next. In this sense Hobbes did not advance a “thick” conception of the good life. But it is still substantive: it consists in ongoing pleasure. (In the book I clarify Hobbes’s theory of the good and felicity in part by mining the rich evidence found in Hobbes’s manuscript Anti-White. The manuscript has unfortunately been unduly neglected by anglophone scholars, partly because it is a recent, mid-twentieth-century discovery and partly because the only available English translation is so atrocious. I provide retranslations of all quoted passages.) Hobbes was also alive to the role of language in not just describing, but determining what is instrumentally good. In prescriptively self-fulfilling circumstances, calling something ‘good’ may actually make it good (by helping to bring about the social preconditions in which the thing actually serves as a means to the good). This is what the Hobbesian sovereign does. Part III is devoted to the second, accountability dimension of normativity (reasons of the right). Being owed an obligation does not reduce to the naturalistic relation of holding someone accountable; it consists in the normative standing to hold accountable, i.e., the standing to censure in second-personal, reactive ways demanding a response. Hobbes used the juridical vocabulary of “accusation” and “condemnation” to distinguish these reactive forms of blame from mere criticism. It is true that Hobbes defended a prospective theory of punishment: punishment should always be for the sake of some future good such as deterrence or reform; inflicting pain on others solely with a view to the past, or simply to take pleasure in exacting revenge, is a mode of imprudent cruelty forbidden by natural law. Nevertheless, he also viewed reactive punishment, which expresses revengefulness, as a mode of prospectively deterring and reforming recalcitrant behaviour: in punishing criminals, the commonwealth acts prospectively not merely by providing material incentives for future conformity; punishment also dialogically reiterates the initial legal requirement and seeks to elicit from the accused a normative response acknowledging the requirement. Hobbes’s role as a watershed in the transition from the ancient, eudaimonist conception of ethics to the modern, juridical conception of morality—and the question of whether Hobbes advanced a genuinely moral philosophy in the modern sense—has been obscured by the fact that Hobbes himself continued to use the word ‘moral’ in its older senses. In the aftermath of the seventeenth century, philosophers today typically use the term in one of two ways: to denote reasons grounded in a requirement to take others’ interests impartially into account; or to denote reasons for which one is accountable to others. Both the impartialist and accountability conceptions raise the anti-eudaimonist possibility that morality may sometimes require acting against one’s own interests, i.e., against prudence. For classical writers, by contrast, the Latin term moralis, which translated the Greek ēthikos, simply referred, in its most generic sense, to the actions of normatively responsible agents, i.e., actions meriting praise or blame. As a result, mores could also refer to the customary norms regulating social interaction amongst responsible agents—what in French became ‘moeurs’, in English ‘morays’ and ‘manners’, equivalent to what today we call social. To call norms moral in this sense is not even to claim they are genuinely normative, but merely to say they are social norms, i.e., customarily followed in social interaction. By extension, genuine reasons are moral in this sense insofar as they govern social interaction. Here, moral reasons neither require impartially considering others’ interests, nor are owed to others; they are moral in the sense they govern social interaction and what foreseeably affects others’ interests. Classical authors also used ‘moral’ more strictly to denote what serves interests others share with oneself, that is, the common good. Yet moral reasons in this sense are not, as in impartialist theories, grounded in the common good: for the eudaimonists, one’s practical reasons are all grounded in one’s own good. Hobbes used the term ‘moral’ in the inherited classical sense. In calling natural laws “moral laws,” he meant they govern social interaction; indeed, he meant they prescribe means to one’s own preservation that are also means to others’ preservation, i.e., that are also conducive to a common good. Natural laws are not, however, intrinsically moral in the modern, impartialist or accountability, senses: they are essentially prudential precepts articulating merely eudaimonistic obligations. Thus the set of precepts articulated in natural law that compose what Hobbes called “Moral Philosophy,” which “is nothing but the Science of what is Good, and Evill, in the conversation, and Society of man-kind” (Leviathan 15.40), is not a genuinely moral philosophy in either the impartialist or the accountability sense. But it would be a mistake thereby to conclude Hobbes did not advance a moral philosophy in any modern sense. He did—not in the impartialist sense, but in the accountability sense. His label for that part of ethics concerning what we owe each other was not “moral philosophy” or “ethiques” but—as he put it in Leviathan’s table of sciences, “The Science of JUST and UNJUST.” Reasons of the right are reasons of Justitia. Prudentia and Justitia are locked in intimate embrace because reasons of the good, according to Hobbes, shape the content of reasons of the right. Reasons of the right are acquired by convention, through voluntary acts of consent signifying to others one’s intention to obligate oneself to them. But Hobbes did not ground consent in one’s actual intentions; he grounded it instead in the intersubjective signs of consent. He therefore grounded consent in the intention others could reasonably impute to one in social interaction, on the basis of semantic and syntactic conventions and pragmatic context, but also on the assumption that one acts in a minimally reasonable and prudent fashion. This is why, Hobbes argued, some aspects of our right of nature are inalienable: no one could ever reasonably understand us to be intending to consent to an obligation to refrain from preserving for ourselves a life worth living. It is also why a developed legal system inherently incorporates the laws of nature: judges must interpret the sovereign’s legislative will (as expressed in civil law) by imputing to him the prudential intention to conform to natural law. Reasons of the good shape the content of reasons of the right at both the individual-ethical and the political-legal levels. Prudentia is locked in not merely an intimate but also a rather public embrace of Justitia.